What if I were to tell you that making your bed can change your life? I know it sounds crazy, but it’s true. Hear me out. There are a few things that happen when you begin making your bed every morning. If you’ve never been a fan of making yours or don’t do it daily, I encourage you to spend the next 30 mornings making your bed without fail. Here are some of the changes you’ll see in your life. Let’s face it: making your bed every morning requires getting out of bed a bit earlier. That’s actually one of the benefits: waking up before your kids, and not to them, is a great way to find time for yourself. Setting your alarm 5 minutes earlier gives you a chance to get that bed made and ease into your day rather than dealing with others the instant your feet hit the floor. 2. You’ll think more clearly. When tasks like making your bed become routine, there’s more brain energy available for clear and focused thinking. You know how your best ideas come when you’re in the shower? Or how you come up with that perfect come-back to a snarky coworker when you’re in the middle of vacuuming on Saturday? There’s a reason for that. And importantly, launching into this active state of procedural memory can actually stimulate and boost the higher levels of thinking and creative reasoning. Or more simply put, the rote processes that distract our hands focus our minds. If you’ve been struggling to prioritize your day, making your bed first thing in the morning frees up your brain to make judgment calls and plans! 3. Your bedroom will feel cleaner. 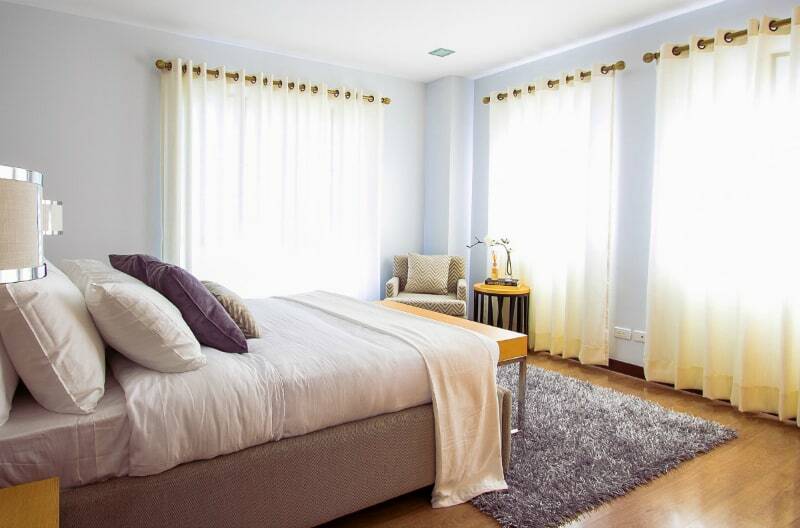 The bed is the largest piece of furniture in most bedrooms, and therefore the room’s focal point. When your bed is a mess, the whole bedroom is going to look messy, even when it’s not. But the opposite is also true: a neatly-made bed makes your bedroom look cleaner — even when it’s not. Once you realize that making your bed takes only a couple of minutes each morning, you’ll start to understand that many of the other chores you’ve been putting off take just as little time. That’s what I discovered when I began my own 30-day bed-making challenge. Before I developed the habit of making my bed every morning, I’d get out of bed and shuffle straight to the coffee maker then stand there yawning while my “wake-up juice” brewed. Once I started making my bed within minutes of getting up, however, I was mentally alert before even leaving my bedroom. Instead of ignoring that pile of tissues or half-empty water glass on the nightstand, I’d take them with me. By the time I got to the kitchen, I was awake enough to wipe the counters and pull out something to defrost for dinner. It may not seem like a big change — because it’s not — but making your bed every day starts your mornings with a commitment to do the whole “adulting” thing. The next thing you know, you’re following a daily cleaning routine, and your whole house is looking better — all because you started making your bed. If you’re constantly feeling overwhelmed by your home or have been struggling to find motivation to clean it, I encourage you to commit to making your bed every morning for 30 days straight. You’re going to be surprised at what a difference it makes. 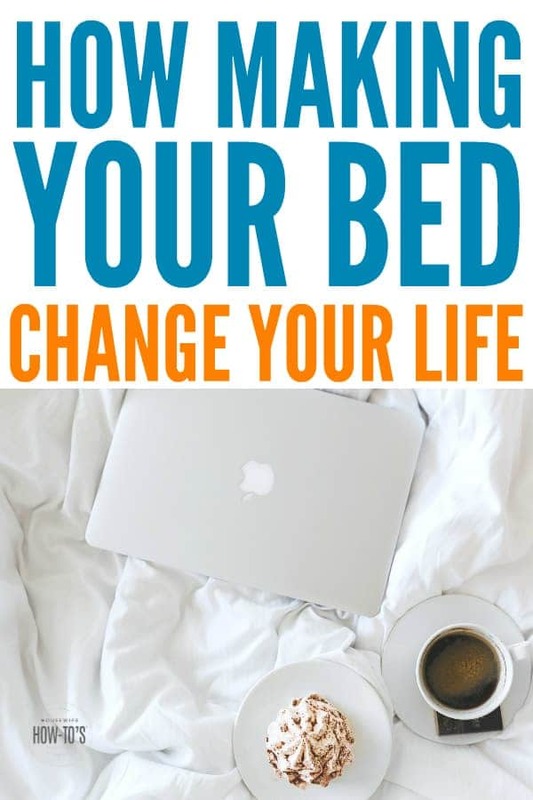 Try it, and discover how making your bed can change your life! This is amazing, I had no idea that making a bed had that much of a difference on your life — aside from the organized look 🙂 Thank you for sharing! I wanted to dislike this article! I have such strong feelings about people forcing others into their way of thinking–like your mom and the military–that I was mad at them FOR you. But this article is GREAT–and fits in with my new routine for 2016. I’m glad you enjoyed the article, Dea! Not surprisingly, I wasn’t a fan of my mom’s approach, either, but I have to admit she did teach me a lot about cleaning and organizing. Thanks for visiting! Thank you for sharing, and for the invite, Christia! I am horrible about making my bed first thing in the morning. I can tell you no days that I do though, I feel better and accomplish more around the house. I think I’m gunning to run upstairs and make it right now. Isn’t it strange how such a little thing can make such a big difference in your day? I’m stuck in the vicious cycle. Not in the habit of doing my bed in the mornings. I think this 30 day challenge is a great idea. I’m going to give it a go. I hope you find it as helpful as I did, Jennifer! I 100% believe it. It makes my room feel cleaner and makes me just feel good! It’s starts my day off on a good note and I find that it carries throughout the day and I feel good and my whole home stays more tidy. Thanks for sharing on the Small Victories Sunday Linkup! It really does make a big difference, doesn’t it? Plus, it keeps cat hair off of my sheets! I can’t stand making the bed. So, instead (because, frankly, your argument has a TON of merit), I started cleaning off the counter. Every morning, I do that first. It’s working! You may have a point: just do something daily and it starts the ball rolling! I always feel so much better when I make my bed…even if it’s messy and rumpled underneath, pulling up the comforter and arranging the throw pillows just makes me feel more centered. Have a great day! “If you make your bed every morning, you will have accomplished the first task of the day. It will give you a small sense of pride, and it will encourage you to do another task, and another, and another. And by the end of the day that one task completed will have turned into many tasks completed. I love that video, made my kids watch it, who better to tell teenage boys why making your bed in the morning is important! I’m looking for the word organized, and I don’t see it. Making your bed starts your day being organized. Your mind needs organization to optimately operate.